"Wrapping, hanging, decorating, crafting, attaching and repairing just got easier, cleaner and safer with a new everyday adhesive line from Glue Dots® well as mass merchandisers. Combining the best qualities of tape and glue, the product delivers strength and versatility in a form that is safe and easy for the whole family to use. There are endless uses for Glue Dots around the home, school, and office, including household decorating, gift-wrapping, quick repairs, crafting and school projects. Removable Glue Dots®: Removable Glue Dots can easily be detached without leaving a messy residue or damaging surfaces. They work on paper, plastic, metal, wood, glass, and more. Use Removable Glue Dots to secure photos or other lightweight items to virtually any surface. Permanent Glue Dots®: Permanent Glue Dots are the go-anywhere, do-anything adhesive. They form a strong, instant-bond with staying power on paper, foam, plastic, metal, wood, glass, and other surfaces. Use them for school projects, household fixes, and craft projects -- anywhere you need a secure bond. Poster Glue Dots®: Use Poster Glue Dots in the home, school and office to hang posters,charts and photos to walls, lockers, windows, and other surfaces. Neater and more secure than putty, tape or tacks, they bond instantly and can be repositioned easily. When you’re ready to take them down, they remove cleanly, leaving no residue, stains or damaging effects on surfaces." The kids were so upset when school was cancelled for a second day in a row, as they would not be able to have their Valentine's Day parties at school today. So, a few moms from the neighborhood and I got together earlier today with the baked goods we all made for the parties, and had an impromptu Valentine's Day party for the kids, complete with crafting fun. I don't know about you, but I don't know what I would do without Pinterest. I find so many great ideas here, including arts and crafts fun to do with the kids. 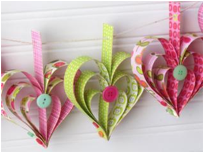 Here are just a few I found recently, when looking for fun Valentine's Day crafts to do. And, they sure did come in handy today when all the kids were here. You can't have a Valentine's Day party with swapping Valentine's, right? 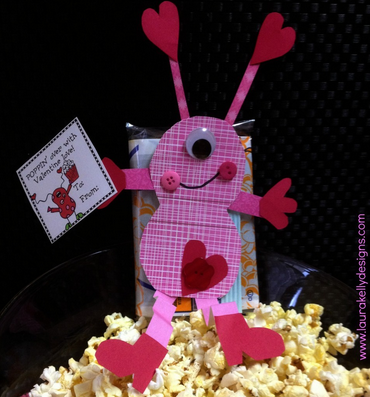 Well, the kids had a blast making these cute Valentine's cards, complete with popcorn bags to take home for an upcoming movie night with the family. 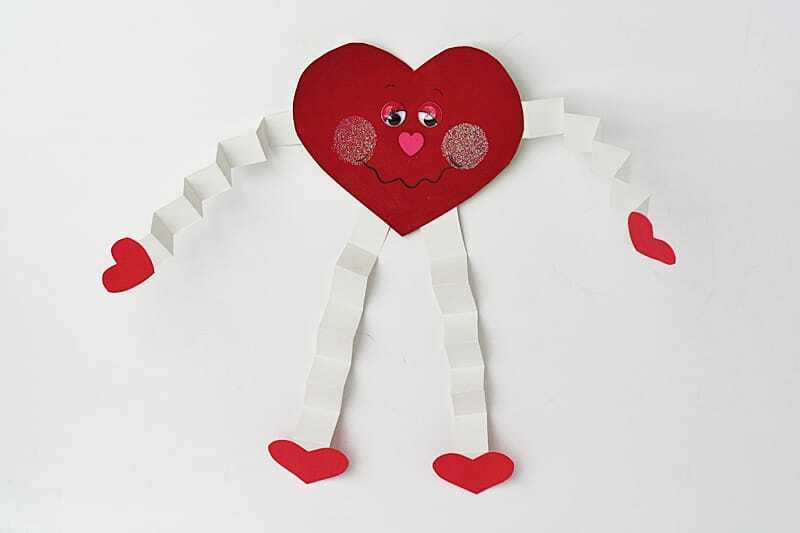 :-) Learn how to make these cute cards here - Laura Kelly DesignsI personally loved this fun craft with the kids. I have received a handful of the sprout cards in the mail and wondered how they were made. Now I know,and the kids are all going home with fun plantable Valentine's Day cards they can plant once the warm weather comes -- if it ever gets here. To learn how to make these sprout cards, click here - Garden Therapy. 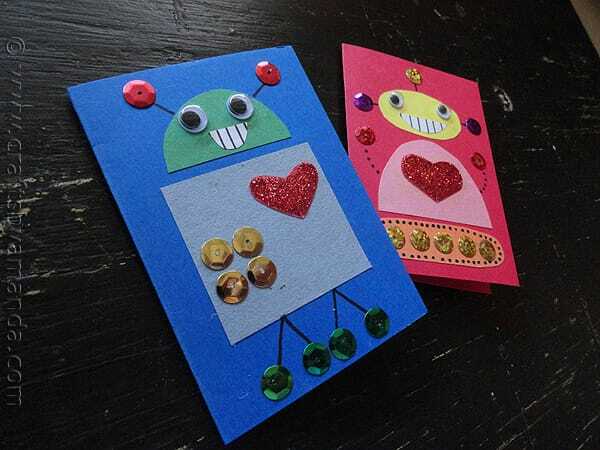 Another fun Valentine's Day card the kids enjoyed making were these cute robots. And, the Glue Dots came in handy and really did a great job at keeping the sequins in place. 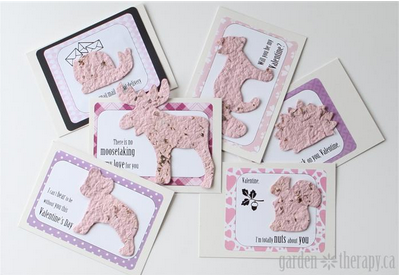 :-) Learn how to make these cute cards here -- Crafts by Amanda. Make sure to leave a few cards blank inside to give as birthday cards to your child's friends. All three formulas come in both sheets and dispensers. Perforated sheets hold ½-inch adhesive dots on a transparent background for precise placement every time. Sold in packages of 60, they have a suggested retail price of $2.49. Handy dispensers make application quick and easy. To use, simply center a dot on the nose roller using the application wheel. Press the nose roller firmly to the surface and use a pulling motion to apply. Each dispenser holds 200 3-diameter adhesive dots and has a suggested retail price of $4.99. Glue Dots are available at Walgreens, Amazon.com, Kmart, Hobby Lobby, Office Depot and other stores. Check the Glue Dots website for a store near you. Thanks to the kind folks at Glue Dots, one lucky reader will win a sampler pack of the three different Glue Dots products to try out in their home. To enter, please complete the entries on the Rafflecopter form below. Good luck! I would use my glue dots for mounting on a poster board that I am doing for a presentation.